Una combinación de vanguardia y vida acompañado de la última tecnología. Every event is unique and special. This space was created to gather people together in an innovative way. Here the focus is not on the speaker, but on the audience. Everything is designed for people to have fun and learn while participating, and the audience takes the lead over the speaker, which promotes interaction and participation as the main values in every event. This space encourages to look on the bright side (as bright as it is) and to imagine great things as its design and structure only evokes positive and happy feelings. The atmosphere is magic, colourful, open, funny and bright… completely bright! 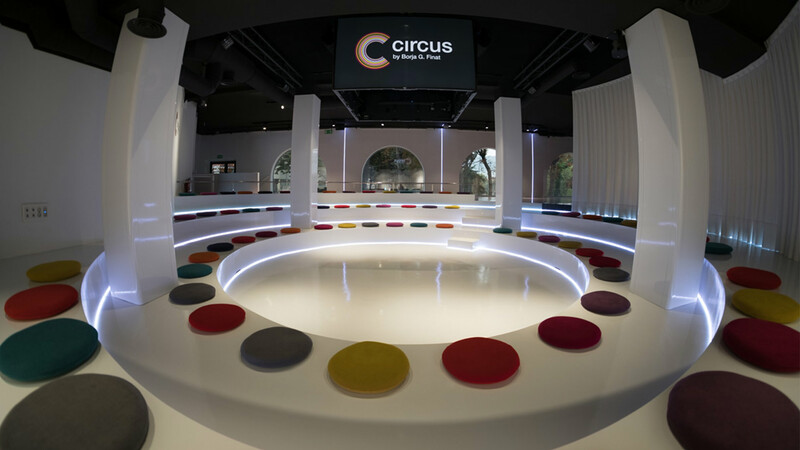 Circus comprises two independent rooms with technical equipment and great acoustics. 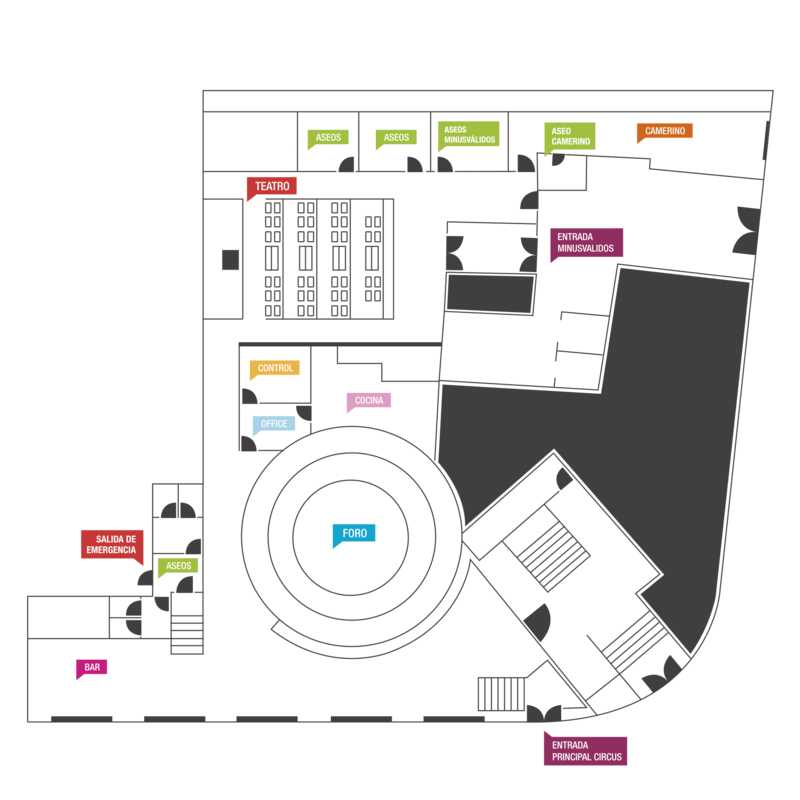 You can book the two rooms together, which are connected, making it possible to create interesting experiences for the visitors. The rooms can be booked independently as well. Circus has five large windows in arch like shape, through which light comes right in offering a great view of the city centre, with trees and a stunning green landscape that you can’t fake…or buy! Circus has at your disposal all the audiovisual equipment for your event to be the icing on the cake. The three automated cameras will let you record your event perfectly. Our theatre will show projections with high quality on a big screen. Our cutting-edge sound technology can always be relied on. Our live broadcasting system lets you see your online event in real time. We also have available a very powerful programme for videoconferences. 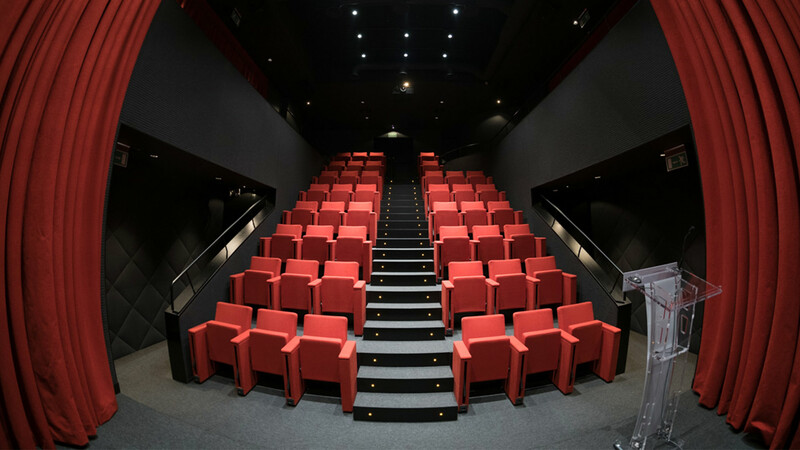 Both rooms are provided with cutting-edge equipment: Leading brands in audiovisual material for maximum results. Lighting is a key factor for each event, which is the reason why our lightning lets us create a set atmosphere adapted to the characteristics of each act. Circus has adapted doorways for those people with reduced mobility, as well as facilities and toilets. Would you like to organize your event with us?